This is what I look like in Hawaii. How did I get here? A very nice client flew me and my co-author out to speak at their conference and I decided to stay on for three weeks. So far, it’s been an amazing time. I’ve been getting so much love from people here. It feels like I’ve come home. Technically, I have. As you may know, I actually lived in Hawaii for six years back in 1994-2000 after my mom married a Navy guy. We were stationed on Pearl Harbor and I went to middle and high school on Oahu. I come back here every chance I get, which until now has meant a week of vacation here and there over the years. 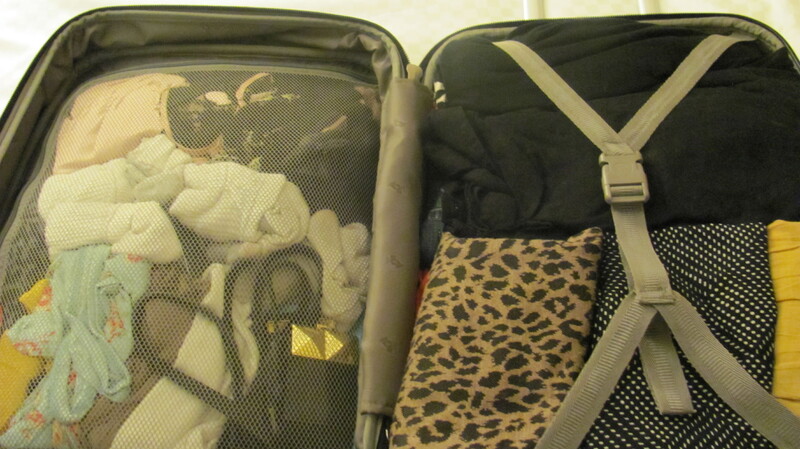 This trip is a little over three weeks, so it’s very different than what I’m used to in terms of how I usually travel. There is so much I can share just from the first few days I’ve been here, working and connecting with people. But for now, I just wanted to offer a few lessons (and photos!) to illustrate what my experience has been like so far. Hotels are really expensive, especially for 21 nights! The conference organizers put me up in a fancy Westin hotel for three nights that of course, I couldn’t afford to stay at long-term. So, on the recommendation of a friend from high school who still lives in Honolulu, I made arrangements to stay at the YMCA residence hall, which is essentially a hostel run by a reputable nonprofit organization. I have the single room with community shower and bathroom that costs $250 a week (compared to $450-$700 a week at the cheapest hotels). It has the basics, a twin bed, desk, chair, nightstand, mirror, and a small wardrobe with drawers and a place to hang a few items of clothing and towels. They have a cleaning crew that cleans rooms once a week, but drops off fresh towels (and empties your trash) daily. I share the community bathroom with the other women on my floor, of which there seem to be few. My floor is women-only. There are showers, toilet stalls, sinks (these are cleaned every day). My lodging here is bare and cheap, but the place is pretty quiet and the people are really nice. 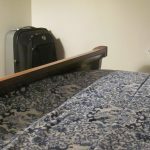 It also helps that the hostel is right aross the street from the main tourist hub – Ala Moana Center. Ala Moana has pretty much everything I need – good cheap food, grocery store, and free wi-fi at Nordstrom. Plus, all the major bus lines and trolleys stop there so I can get to mostly anywhere I want to go on the island for about $2. And across the street from Ala Moana is the beach! The major downside to this hostel is that there is no community kitchen (though there is a community microwave) or refrigerator. There are no microwaves or other heating tools allowed in your room. It’s made it tough to stick to my food budget of $15 a day and remember that I’m not a tourist, I am essentially living here for three weeks and need my money to stretch. So, no fancy dinners on this trip! 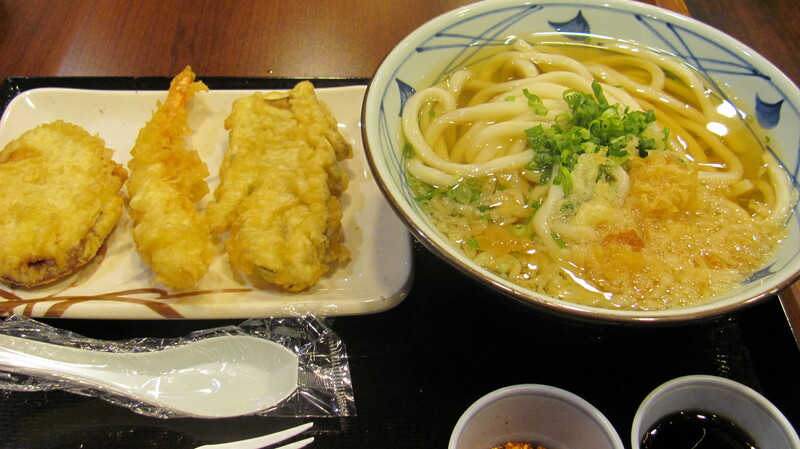 My favorite cheap places to eat so far: Marukame Udon, Zippy’s and Shirokiya. I LOVE Asian food, so the cuisine in Hawaii is right up my alley. I’ve been eating mostly noodles, rice, tofu and sometimes fish or shrimp. I typically have some type of bread or fruit for breakfast, some type of noodles for lunch ($5), then some type of rice dish or combo meal for dinner ($5-8). Plus lots of water and tea. To further cut down on my food costs, I also picked up a few nonperishable items from the grocery store like bananas, nuts, cereal bars, bread and nut butter. I’m not doing all the tourist stuff while I’m here like luaus or island tours, since I’ve lived and visited here before. The beach is enough of a tourist sight for me! So beautiful. And free! But I’ve also been able to find free social events as well, so I don’t feel totally alone here and I can mingle with other people my age. Before I left, I had scoped out some upcoming networking events and free cultural happenings, so I had a few things on my calendar already. Then, a few people at the conference told me about a few more sights to check out while I’m here. Today, I went to Ala Moana to watch a Hawaiian Christmas performance with hula girls which was really good. 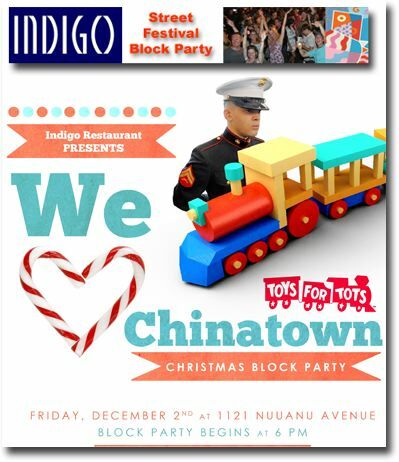 Last night, I had a blast at the First Friday Hawaii event in Chinatown – it was a big block party with food, drinks, music, art and dancing from 6pm-2am! People were everywhere and all the military cuties were out in full force. I’m still cracking up from this one guy (he had way too much to drink) who came up to me to get his mack on and said he thought he was in love with me. Womp! The scene was pretty wild LOL. For the first few days I was here, I spent most of my time with people I knew from the conference who were here from the mainland. I also made plans to hang out with my high school friend who lives on the island. But I was actually invited out to First Friday by new people I met at the conference. I ended up meeting them for dinner and drinks at this cool vegan-friendly diner called Downbeat where I had the best vegan burger ever. They also invited me to a boat party they’re having in two weeks. Then, one of my colleagues from the mainland introduced me to one of his college friends on the island and his girlfriend, who was really cool. So I might hang with her some more while I’m here. I was also invited to go check out what the protesters are doing here for Occupy Honolulu, which should be really interesting. People in Hawaii are naturally very friendly, so it’s almost as if you have instant friends once you meet one group of people. They seem to welcome you in and want to show you their island. As an introvert, I’m really grateful for this kind of hospitality! Overall, living in Hawaii for three weeks is NOT the cheapest trip to take, by far. But I am essentially spending in three weeks what I would typically have to spend for only a one week trip, so for me it is well worth the money to be able to stay here longer. Have you been on an extended trip before? What tips helped you save money and have fun at the same time?